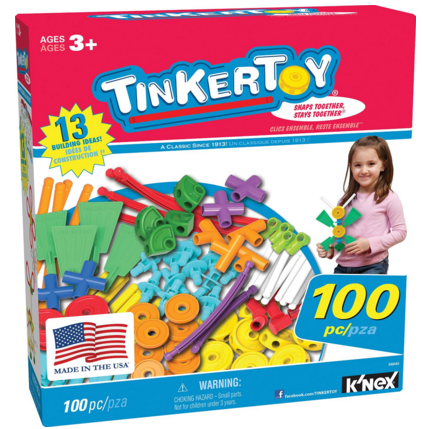 Tinkertoy Essentials Value Set (100 Piece) Just $18 Down From $40! You are here: Home / Great Deals / Amazon Deals / Tinkertoy Essentials Value Set (100 Piece) Just $18 Down From $40! Here’s a fun Amazon deal. Tinkertoy Essentials Value Set (100 Piece) is just $18 down from $40! Get yours now while it lasts! Build a whole bunch with your favorite TINKERTOY parts! 100 “essential” TINKERTOY pieces; spools, rods, flags, washers, end caps and more!